Emory Law celebrates Martin Luther King Jr.
Public domain photo courtesy of New York World-Telegram and the Sun Newspaper Photograph Collection (Library of Congress). This past Thursday, the president and CEO of The National Association for the Advancement of Colored People, Cornell William Brooks, spoke at Emory Law to honor Martin Luther King Jr.
Brooks is a former senior editor of the Yale Law Journal and served as a trial attorney with the U.S. Department of Justice. But before he entered law school, Brooks attended seminary at Boston University’s School of Theology, where Dr. King studied. He is a fourth-generation African Methodist Episcopal Church minister. You may recall, the dominant image in the NAACP’s logo is the scales of justice. As leader of the nation’s oldest civil rights organization, Brooks has pursued justice during a time when issues of race and class have roiled our country. At Emory Law we seek to educate attorneys who will pursue justice. In divisive times, we must be even more vigilant in enforcing the rule of law. Equal standards and protections ensure justice for everyone. Some of our students will follow the example of Cornell Brooks and become civil rights lawyers, but our future is built on making sure that all of our graduates understand the importance of the rule of law as a foundation for a just society. One graduate of whom we are especially proud is Dr. King’s daughter, Dr. Bernice A. King 90L 90T, who earned both her juris doctor and theology degrees at Emory University. She carries on her father’s work for nonviolent social change as CEO of the King Center in Atlanta. Last year, the law school hosted a screening of Get in the Way: The Journey of John Lewis, based on the life of a true civil rights soldier, Georgia’s own congressman. Two years ago, we announced a $1.5 million gift to support the John Lewis Chair in Civil Rights and Social Justice. We have only $115,000 left to raise to fully fund the chair, which will allow us to fill this important position. This year marks Emory Law’s 100th anniversary. It reminds me to take the long view—to consider decisions based not on immediate events or crises, but on what will move the school forward in the long run. More than 50 years ago, Reverend King reflected on the nature of law while writing from the confines of the Birmingham jail. “To put it in the terms of Saint Thomas Aquinas, an unjust law is a human law that is not rooted in eternal and natural law,” he said. “Any law that uplifts human personality is just. Any law that degrades human personality is unjust.” While he was talking about segregation, the principle still applies. 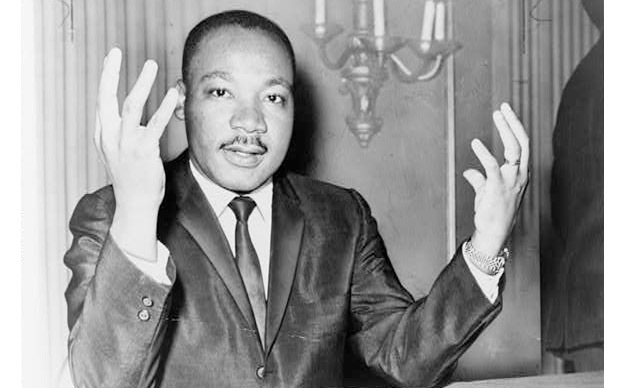 I will close with one of Dr. King’s better-known quotations: “The arc of the moral universe is long, but it bends towards justice.” Dr. King knew that while we may not be alive to see all the results, our actions shape the future. What we work for today matters.